Personalized favors are memorable keepsakes for your guests and will guarantee that your event will not be forgotten! These favors can be used as either votive holders or as shot glasses. 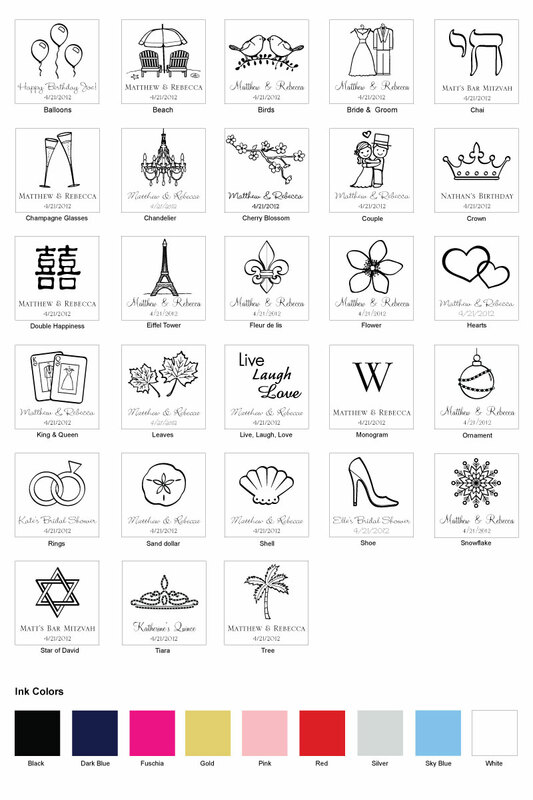 Whether you're headed to Vegas, honeymooning in Paris, or throwing a baby shower for your best friend, they can be imprinted with a variety of graphics that will work for just about any theme! Include names and event date to make the personalization complete. 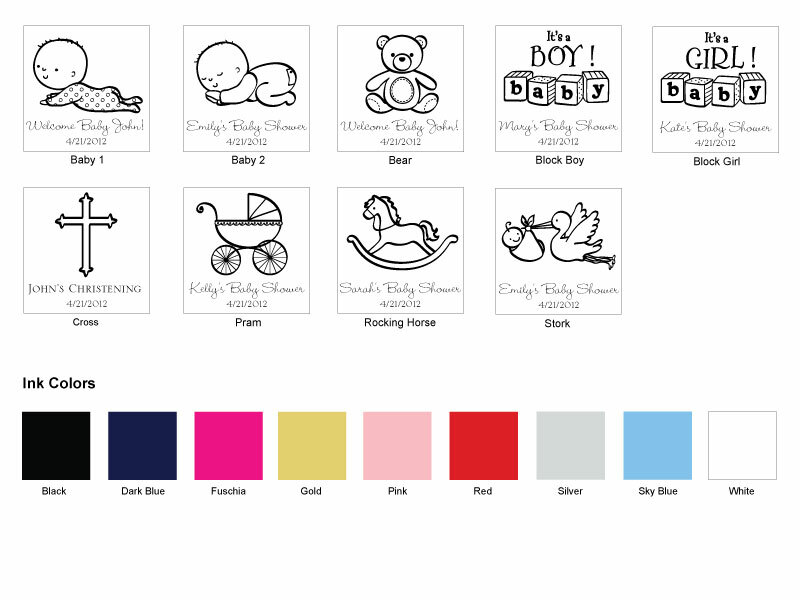 Choose from many different designs (see selections below) and 9 different color options. The shot glasses/votive holders measure 2 1/2" tall and 2" in diameter. Due to personalization, there is a minimum order of 48 on this item, and will ship in approx. 4 weeks. There is $30 set up fee. *There is a 25 character limit per line; this includes spacing. Click this link to add 30 for the extra setup fee. The minimum amount of order is 48 set.